And the Thousands of People Who Shaped it. The Archive has a new, permanent home at the University of Michigan’s Bentley Historical Library! Known as an eminently successful entrepreneur and as the legendary owner of the Detroit Pistons NBA franchise, Mr. Davidson was equally esteemed as a philanthropist, committed to educating future generations. A native of Detroit, Mr. Davidson graduated from Central High School in Detroit before earning a business degree from the University of Michigan and serving in the U.S. Navy during World War II. After earning a law degree from Wayne State University’s School of Law, he began practicing law, which quickly led him to acquire several troubled companies and turn them around. His success spurred a turnaround closer to home, when he stepped in to guide Guardian Glass, his family’s automotive glass company, to solvency. First, focusing on making Guardian profitable, he then diversified the company. Mr. Davidson served as chairman, president and CEO of Guardian Industries Corp. Under his leadership, Guardian grew to become one of the world’s largest and most innovative manufacturers of architectural and automotive glass and a leading manufacturer of automotive plastics. He cultivated an entrepreneurial culture within Guardian, empowering employees to think and act competitively yet also find time to give back to the community where they worked. 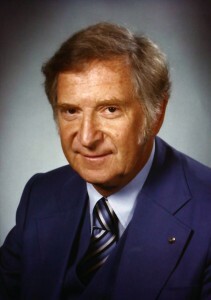 In 1974, Mr. Davidson established an ownership group to buy the Detroit Pistons franchise and, ultimately, win three NBA championships in 1989, 1990 and 2004. By 1988, he founded Palace Sports & Entertainment and built the Palace of Auburn Hills arena, fundamentally changing the showcase of professional sports and live concerts. A prolific team owner, Mr. Davidson’s NHL, IHL, and WNBA teams – the Tampa Bay Lightning, the Detroit Vipers, and the Detroit Shock – won championships in 1997, 2004 and in 2003, 2006, and 2008, respectively. But it was Mr. Davidson’s lifelong dedication to philanthropy and devotion to education that cements his generous legacy. From Detroit to Jerusalem, his endowments established: the William Davidson Institute at the University of Michigan; the Graduate School of Jewish Education at the Jewish Theological Seminary; the Davidson Institute of Science at the Weizmann Institute; and the Ethan and Marla Davidson Center for Exhibitions and Virtual Reconstruction in the Jerusalem Archaeological Park. Mr. Davidson’s extensive philanthropy is a model of giving and a memorial to a man respected and beloved by so many people.